My husband is the guy who loves nutritional formulas. If you were to open up my pantry you would see tubs of all different shapes and sizes filled with powders promising the sun, moon and the stars. Ok, maybe not but that’s how I looked at all those over sized tubs cluttering up my pantry until I started the 21 day fix. If left to my own devices I would only eat carbs, fresh fruit and dairy which explains why I struggled through the first week as I just wasn’t getting the protein my body needed. We were given a bag Vanilla shakeology to try during round 1 of our 21 Day Fix Extreme which we adding one scoop to a smoothie after out workouts. I can’t say he’s turned into the Hulk (because that’s not the point, ha!) but I doesn’t mind the taste (always a bonus) and I’m happy knowing this is something (OK I’m sort of making him do something) to help our health. As much as I love salads and steamed veggies, the hubby does not. So, this is a great way to help get those nutrients without much fuss. 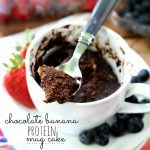 Chocolate Banana Protein Mug Cake from kims cravings -This quick and easy chocolate cake recipe will change your life! A few words to sum up the incredible goodness that is the chocolate banana protein mug cake:divinely rich,ooey, gooey wonderfully thick,liquidy split quick,naturally sweet,instant chocolatey yumminess… nuff said! 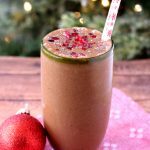 Peanut Butter ìChonanaî Superfood Milkshake from the garlic diaries- Now, in my world, there was no possible way to ever create a healthy version of this perfect dessert. I mean…come on…it’s a milkshake. BUT, I’m telling you guys…this healthy milkshake is out of this world. 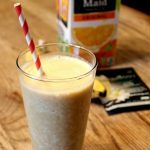 Vanilla Dreamsicle from my heavenly recipes- This amazing shake tastes just like a orange dreamsicle but is made healthy for you with shakeology mix. Caramel Apple from Magean Blinka – The perfect late night snack when your craving an apple pie blizzard from Dairy Queen. 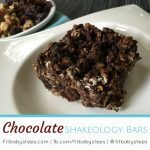 Chocolate Shakeology Bars Recipe from fitbabysteps- power-packed with superfoods, so it makes me feel super energized and ready to go get ’em! Tiramisu Latte from beachbody -“Tiramisu” is the Italian word for “little pick-me-up,” but in dessert form it’s more like something to weigh you down. 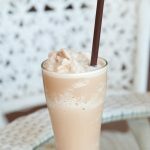 Try this Tiramisu Latte Smoothie instead! Chocolate Bars from the bewitchin kitchen- These Bars are my new favourite snack, and perfect to pack in the kids lunches for school. How can you have just one? 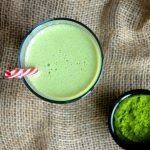 Green Tea Frapp from clean eats for my sweets- not nearly as sweet as the commercials ones but your taste buds won’t know that! Satisfying and delicious! 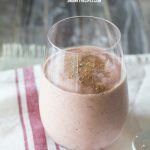 Strawberry Pumpkin Shake from swanky recipes-A healthy and delicious strawberry & pumpkin shake made from frozen fruit, almond milk, pumpkin puree and strawberry powder. Vanilla energy bars from shakeology- packed with protein, superfoods, healthy fats, and just the right amount of sweet to help diminish those cravings. 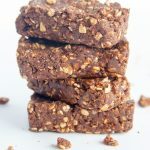 Brownie Protein Bites from henderson fitness- I love brownies! 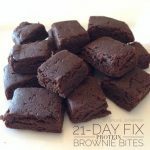 One bite brownies are my downfall but not anymore! 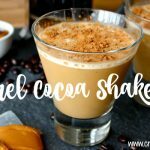 Caramel Cocoa Shakeology from Ellis and Page – Satisfy your sweet tooth and get a caffeine pick-me-up with this coffee house-inspired smoothie recipe for Caramel Cocoa Shakeology. It blends the flavours of coffee, caramel, and cocoa with creamy vanilla. 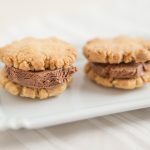 Mini peanut butter & Chocolate Ice Cream Sandwiches from shakeology- Because if there are two flavours that have to be together in my ice cream sandwich these are it! 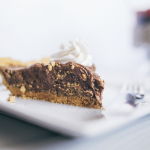 Healthy Chocolate Pie Recipe from shakeology.com –Our favourite chocolate dessert is chocolate pie because–wait we don’t need to explain; it’s CHOCOLATE PIE. 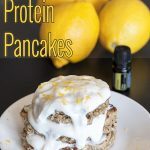 Lemon Almond Pancakes from Bewitchin Kitchen-I’m a big fan of protein pancakes. Regular pancakes don’t fill me up (I’m an empty pit) so I usually need a little more. This recipe uses oats, Shakeology (or protein powder) and lemon essential oil and it keeps me fuelled for hours. 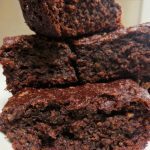 Chocolate Carrot cake from Bewitchin kitchen –protein bars are good, but these Carrot Cake homemade protein bars are better! These bars are incredibly moist and absolutely delicious. 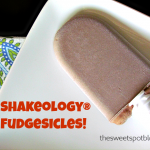 Fudgesicles from the Sweet Spot Blog- replaced the chocolate pudding mix with the same amount of Shakeology powder. They are so yummy after a workout! 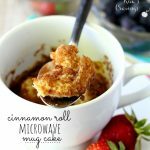 Cinnamon Roll from Kim’s Cravings-This easy cinnamon roll microwave mug cake is the perfect treat when you’re craving a little something sweet. In just over a minute, you can be indulging in a scrumptious moist single-sized cinnamon roll flavoured cake. Just because this cake’s made in the microwave, doesn’t mean it can’t be delicious! Shakeology is great, but it can be expensive (especially if there are two of you!). You can see a few Shakeology alternatives here. Does this list inspire you to try any other Shakeology variations? I think using different types of fruits could work. Maybe even swapping out peanut butter for another nut butter would be nice too. 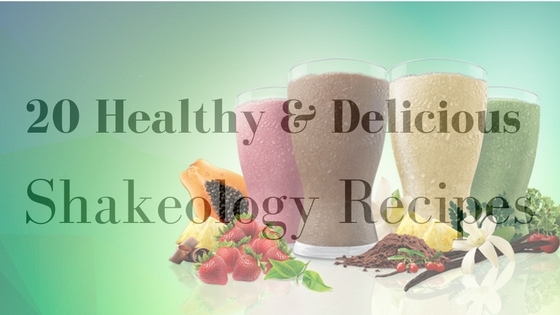 We would love to hear about your Shakeology recipe ideas. Please share with us! « Back to School, back to YOU! OMG, so many recipes and they all look so delicious. I love Shakeology smoothies and I’m so checking the recipe for Tiramisu Latte. These recipes are going to be great come new years. Everyone will be looking fro a healthy way to start the new year. thanks for all the yummy. I’ve never tried it but my friends who use it swear by these recipes. I do think it would give me something to look forward to – with these delicious recipes. Especially anything with pumpkin! I’ve never tried shakeology, but it sounds like something my family would like. Would probably be good for my oldest son, who hates eating veggies like your hubby. I had no idea you could infuse shakeology into so many wonderful recipes! makes me see it in a whole new light! I never did get used to drinking my shakes. I prefer to eat my food. I do have some Shakeology packets left over that I figured I’d just toss out. I see there are a few food recipes here. I can’t wait to try them out. I love the way that shakeology tastes! I can’t wait to try these recipes! These are all healthy?! They look so good! Thanks for all of these recipes. Wow these recipes look SO good! I would like to try out these shakes. They sound really delicious! How very interesting. I never thought about making recipes with the Shakeology packets, only shakes. This is very clever and way more practical than shakes every day. I totally needed this. I have been getting pretty boring with my Shakeology shakes and this is perfect. I love a filling protein shake that doesn’t make me feel bloated. There are some yum-tastic options here. Now that I have a Ninja Bullet, I am going to try a few! These all look like great healthy and delicious shakelolgy recipes. The caramel apple sounds so good and would indeed make a great snack. Thanks for sharing the recipes. All of these shakes look amazing! Who would of thought they would be healthy for you. I have been meaning to make more shakes and with the school year upon us I need it even more now. So many great ideas! I love the 21 Day Fix, but can’t do the Shakeology because of stomach issues. These seem like great recipes when you want to mix it up! Ooooh thank you for all these suggestions! Such a sweet treat! These look like delicious shake recipes. I love having shakes for a quick breakfast on the go. I have a partially used bag of chocolate Shakeology in my pantry that I want to use. These recipes couldn’t have come at a better time! Shakeology is one of the few nutritional shakes that I actually like. I never thought about creating a recipe with it though. Thanks for giving me some options! Wow! These look super yummy. I adore Dreamsicles so I definitely would love to try #3! 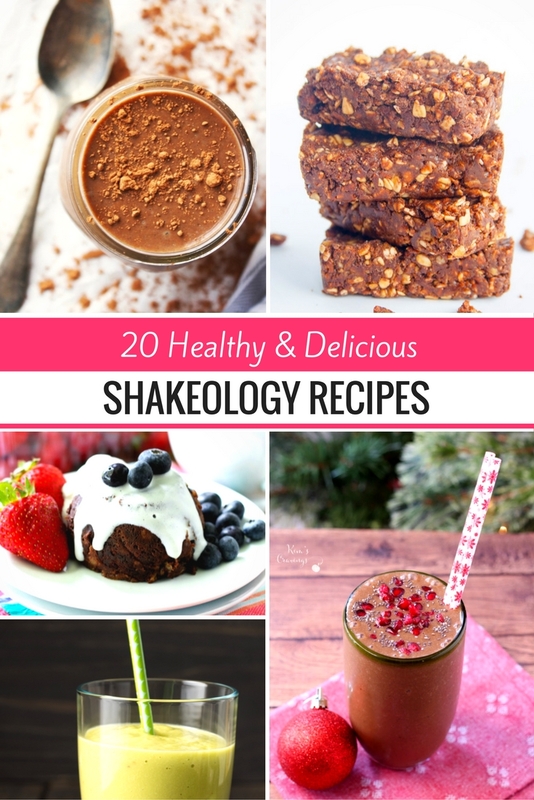 These are all great ideas of what to make using shakeology! 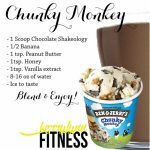 Glad you shared these so others can get creative with Shakeology! Yummy and healthy for the win. They all look good, but the Vanilla Dreamsicle would be my favorite out of the bunch. All of the shakes look really good. I’d like to try the peanut butter shake. I typically go for vanilla but it’s fun to try new flavors. I am looking for some new shake recipes to try. Definitely going to look into making the Caramel Cocoa one!! I love shakes. I’ll suggest this recipes in the coffee shop nearby. Hopefully they do well in coming up with these unique shakes. It’s so crazy how many options there are in the world of Shakeology Recipes and you have brought together some pretty amazing ones that I am going to have to try one after the other. Kids back to school time for momma to get shaking, LOL! These are healthy? Oh I totally need to do this! These look delicious and I am always looking for something healthy and delicious. I love a good shake recipe. I have friends that swear by Shakeology. I may have to look into it soon. All these shakes looks awesome I am a big and I mean big chocolate lover so I am interested in the brownie shake and I hope when I try it, it will turn out fine, lol but in my cause it may not. I’ve heard a lot about Shakeology but haven’t tried them yet. I just got my first Beachbody DVD so I will bookmark this in case I try the shakes! 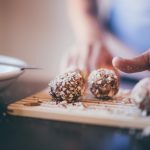 This is an awesome list of healthy recipes! I usually drink smoothies every morning before working out, so I’ll definitely try several of these recipes. The peanut butter and chocolate ice cream sandwich looks amazing. This is an awesome list. I want to try the lemon almond pancakes and cinnamon roll mug cake! And thank you for sharing the alternative lists as well. 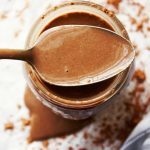 Almond butter may work great for a few of these recipes! You’re thinking along the same lines I am. Those recipes sound incredibly yummy! wow. what a great site and what great recipes. your pictures are wonderful and I will bookmark this for future recipe making. thanks. love how these shakes can be used in cooking/baking too. the versatile style keeps boredom away. Oh my gosh so many of these sound amazing. 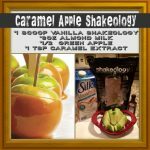 It’s awesome that you can make so many delicious treats with shakeology.